The vocabulary for a true dialogue with your horse. 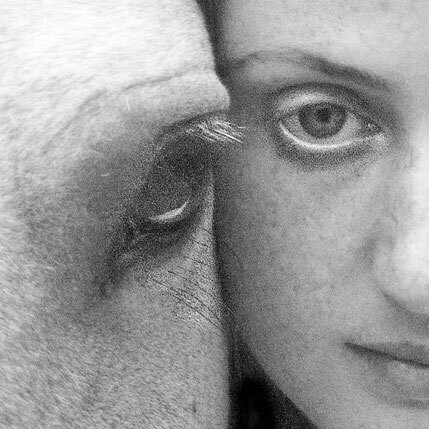 It is neither horse whispering nor another method that uses positive and negative reinforcement intelligently to shape the horse in a desired direction. A natural dialogue can be distinguished from a method in that it has no predictable course and does not pursue a pre-planned training goal. If you ask so long until the horse gives the correct answer, then unfortunately this is still a monologue. 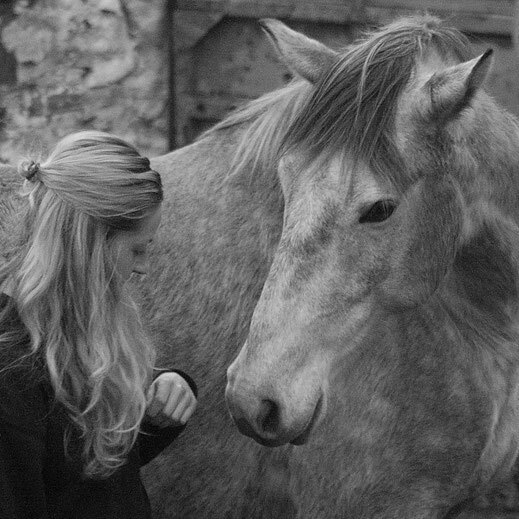 In a dialogue, you are really interested in what the horse wants to say and he also gets the right to say "No". Being together with horses in this way can build a relationship with them that goes beyond the ratio of good co-workers and that comes quite close to the meaning of true friendship. Succes, money and status makes us happy for a short moment, but long-term it makes us lonely. Real fullfillment is not to search in individualism but in partnership. In the end it is not the moment of winning competitions that really counts but the time shared with a partner; the moment of being connected and feeling deeply understood.